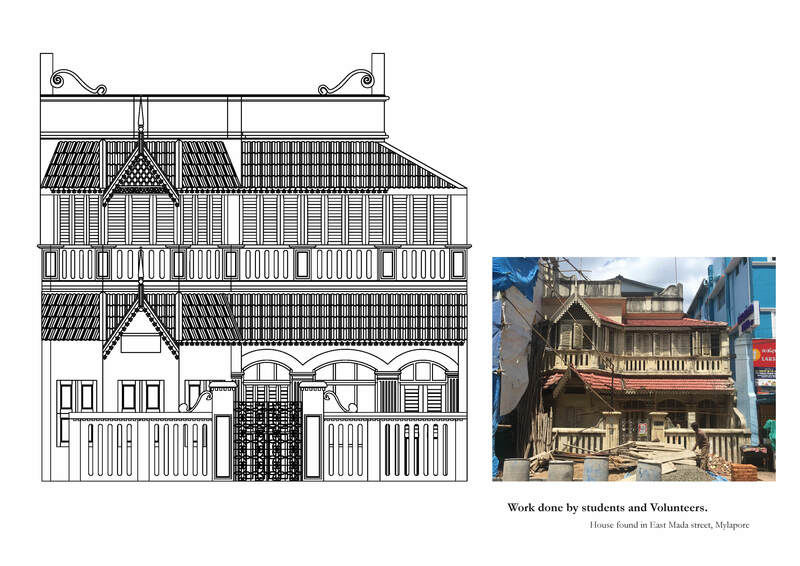 A public initiative, Houses of Mylapore intends to generate interest and involvement of the community to harbour an awareness about the preservation of a transient past – the cultural and architectural ethos of Mylapore – through Heritage Walks, installations, souvenirs and other activities. 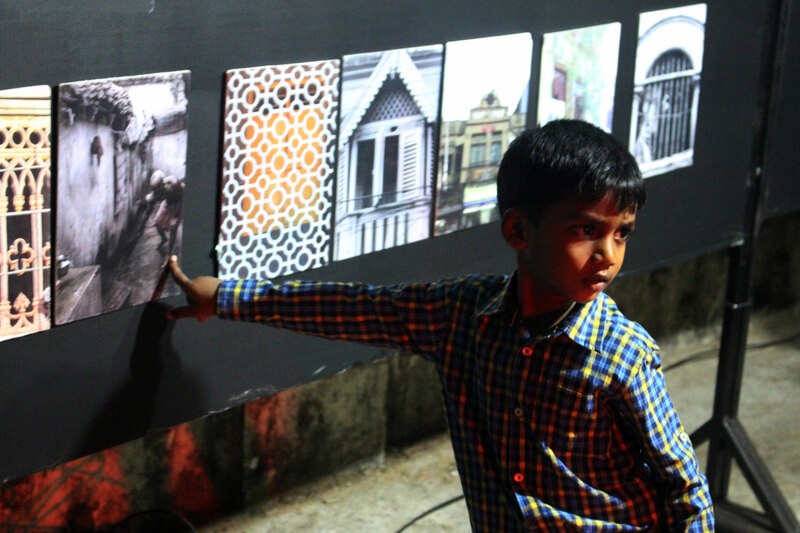 Since November 2015, Tahaer and his partner, Anupriya Subbian have directed a part of their studio’s efforts along with several other volunteers to an ongoing endeavour of documenting and thereby, preserving the eclectic suburban fabric of Mylapore. 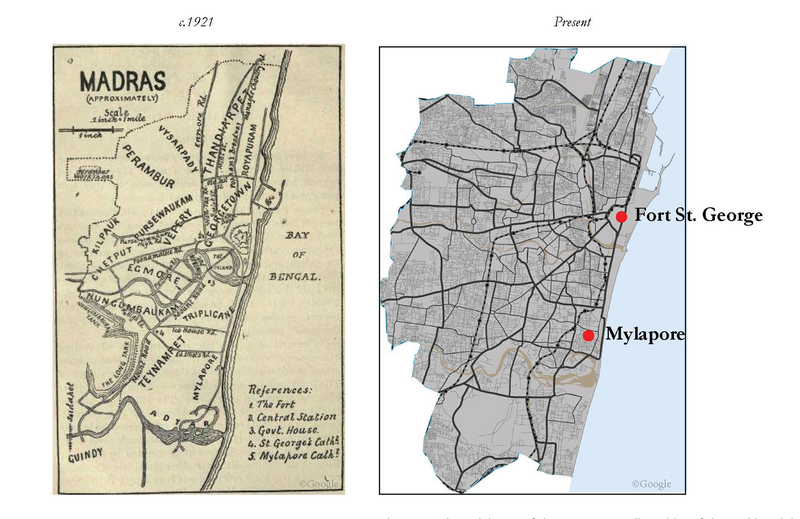 The earliest recorded history of Mylapore (then Mylarphan) stems from the archival writings of Ptolemy, a 2nd Century observation of the port of Mylapore known to the Greeks and Romans. Within the neighbourhood scale, the temple town stands today as an experience of a remarkable evolution; from being a city of peacocks, its metonymical origins, Mylapore derived from ‘Mayil arparikum oor’ meaning ‘the place where peacocks scream’ to the chaotic fabric of the festive shopping lanes (Mada streets) enveloping the temple, to the silent urban resurgence gradually taking over. In Dr. Nanditha Krishna’s book ‘Madras – Chennai, Its History and Environment,’ where she refers to Mylapore as the city on which modern day Chennai was built, she mentions, “The temple and tank are surrounded by four maada streets, lined with shops selling saris and textiles, jewellery and silver, stainless steel, brass and plastic vessels, vegetables, fruits, flowers and prayer items, books and pictures of gods and goddesses, and just about anything else. Behind these are private homes, part of the ancient temple town. 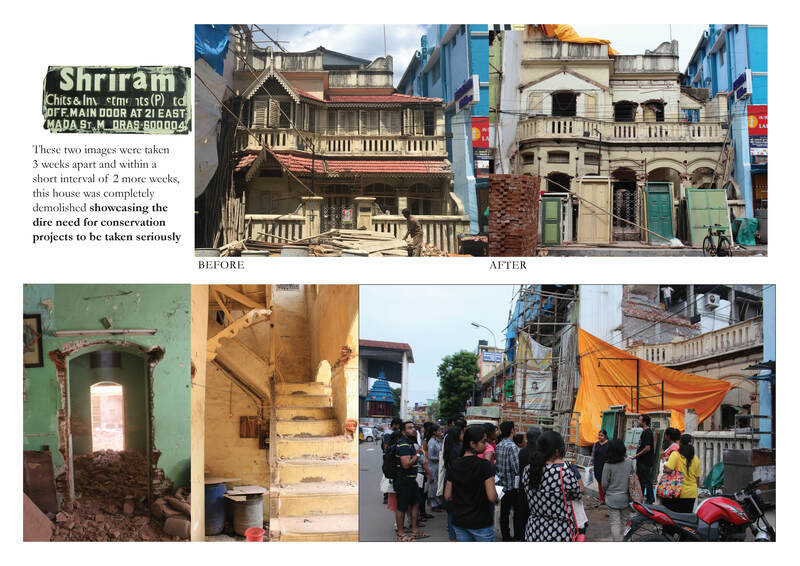 The neighbourhood with its Agraharams and Katcheris once thriving under the aegis of the Temple Trust, has witnessed a confluence of change and external influences in the recent years. “Many of the houses, “it seems, “are owned by the temple trust and people who live here pay a meagre rent. This is one of the reasons for low maintenance of the houses and unfortunately, those that are not occupied are slowly being demolished for upgradation of property and street.” In the status quo, the multi-storeyed buildings are replacing the distinctive low-scale forms. “Madras, now Chennai, is one of the great metropolitan cities of the world, and the fourth largest city in India. The older settlements have several stories to tell, and so the city is an amalgamation of ancient and more modern history. The particularly charming features of Chennai are its allegiance to ancient traditions and cultures. However, this is slowly being usurped by multi storied concrete jungles. The architecture of Chennai is a confluence of many architectural styles. Chennai, with houses 467 heritage buildings within its metropolitan area (CMA), is the highest within any Metropolitan Area limit in India. Most of these buildings are around 200 years old and older. Protection for these centuries-old structures comes under a law enacted in May 2012 to set up a 16-member Heritage Commission. 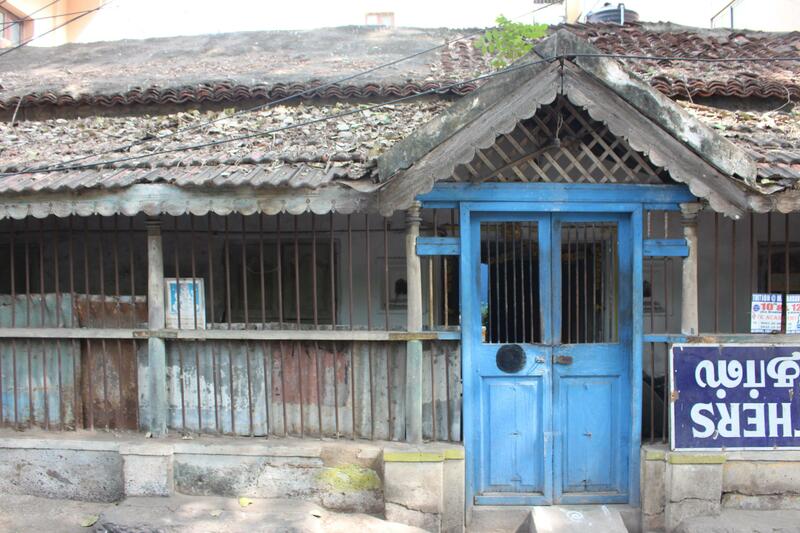 In 2012, a list of heritage buildings was released by the Chennai Metropolitan Development Authority (CMDA). However, this list was focused on Public spaces and Landmarks, excluding smaller heritage houses. These small houses, that play such an important role in our Urban heritage are rapidly dwindling in number, falling prey to the evolving city.” writes Tahaer as a way of introduction to the conscientious exercise they have commenced to shift the focus in this direction. 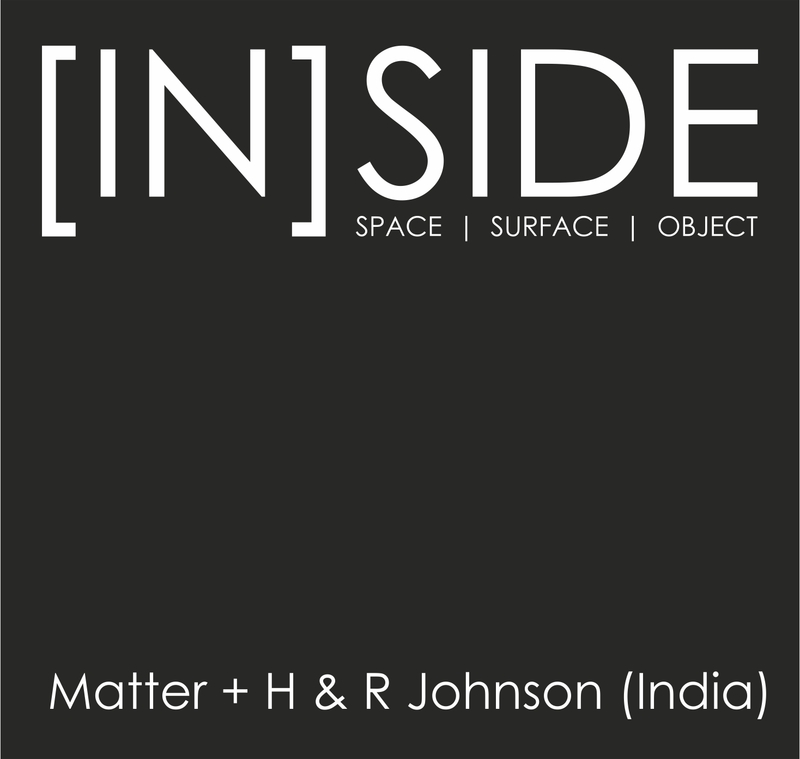 Technical Documentation : Cibi Balakrishnan, Yuva Raj, Naveenaa Munuswamy and student volunteers. In light of this perspective, the Houses of Mylapore as a project is a willing contribution of time and resources to prompt a dialogue. It sets up a relatable context for the community to partake in these concerns of disappearing culture and heritage. 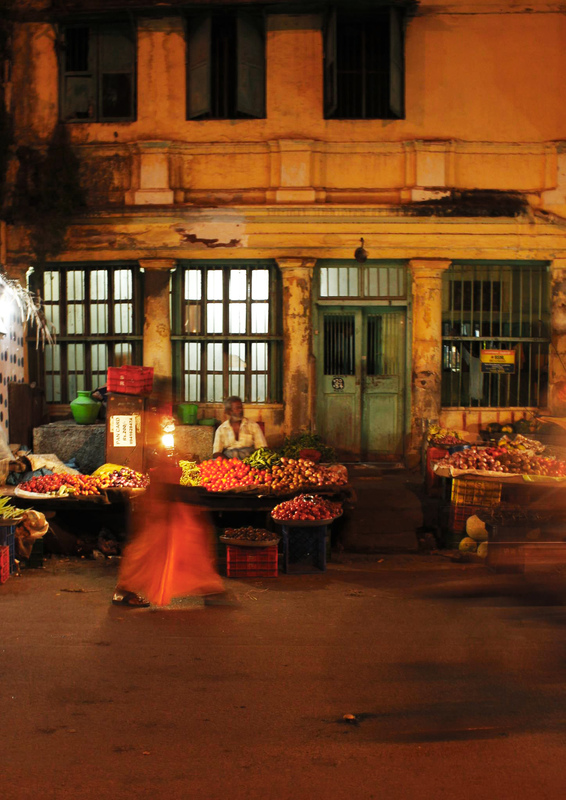 For the ‘historians, residents, tourists, architects, and Mylapore enthusiasts’ involved, the old avenues guided the way for newer forms of engagement to instil in the sense of awareness. 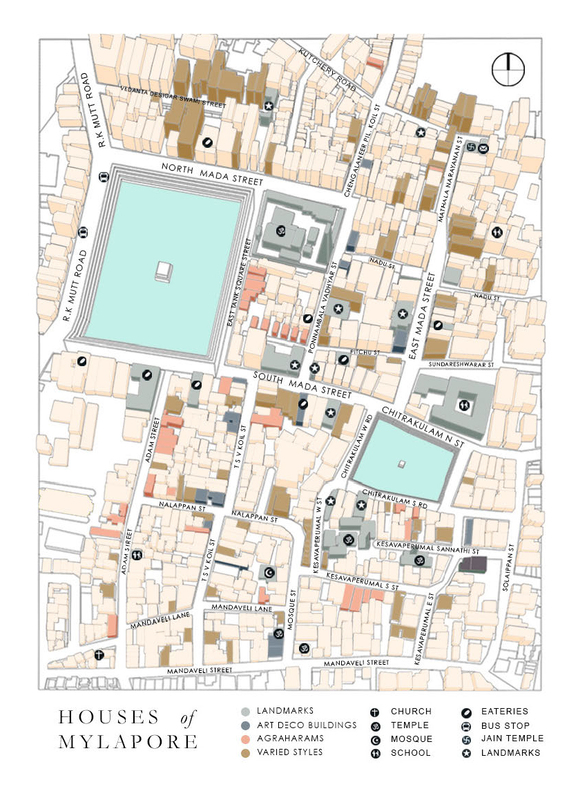 Heritage walks have been designed along specific routes to focus on the rare mixture of values and styles that the town represents. The sights are manifold and the real essence of the town is rediscovered as these walks highlight the diverse architectural styles. Of critical importance are the Agraharams, the Art Deco buildings, Neo Classical and varied styles. Notably, the volunteers expand on these through the walks and on inherent planning principles and devices such as skylights, for each style deploys within the close-knit built fabric. 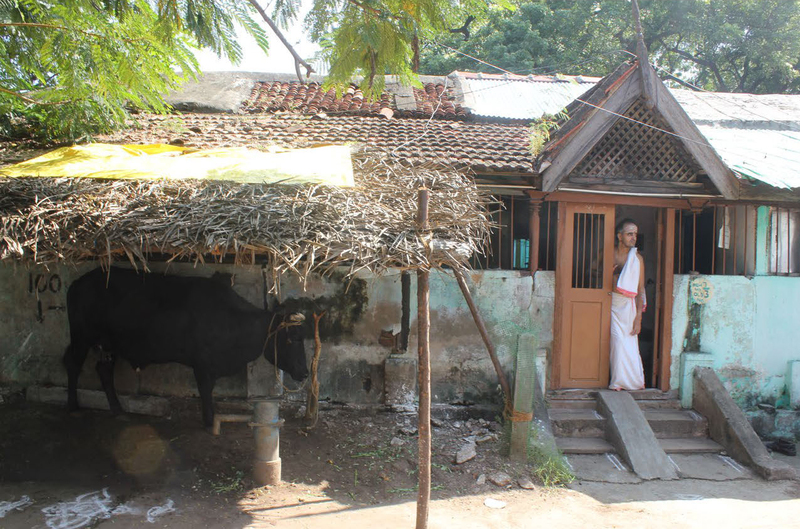 A customary organisation for Brahmin settlements, Agraharam denotes ‘a garland of houses’ – primarily a reference to the lines of houses on either side of the roads or temples. The arrangement of row houses radiates from the temple complex in concentric rings. Each house comprises of a platform oriented towards the streets known as thennais, a central space or courtyard called the mitham opened to the sky, mudhal kattu or receiving area, irandaam kattu or living area, moondram kattu or kitchen, backyard and a traditional pitched roof. 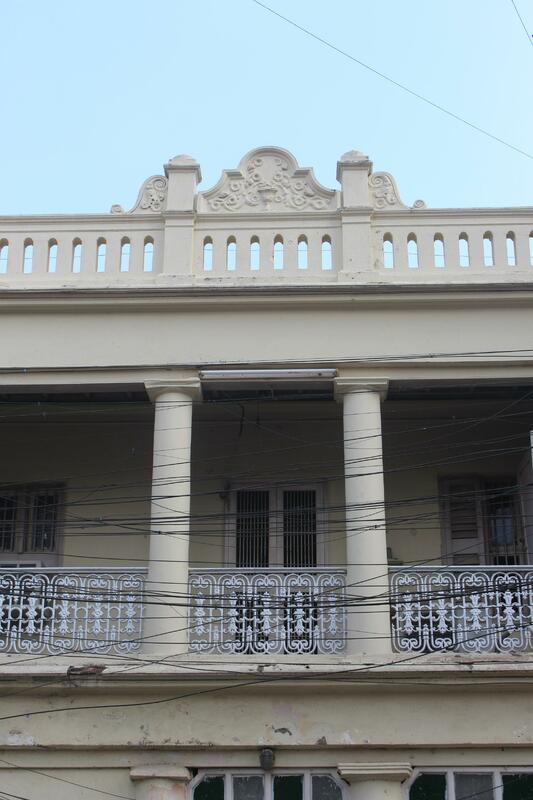 Around the 1930s and 1940s before the incursion of concrete as a material, the houses of Mylapore bore influences of a classical style making way for an integrated one with Corinthian columns, Indo-Islamic and Indian architecture with neo-classical to form Indo-sarcenic, two-storeyed houses with verandahs predominantly used by men or, inclusion of a study room or offices on one or both sides of the house or a garage which is now converted into small shops, walls painted white with Chunamb, and prominently, wrought iron balustrades. Of the iron and steel, one of the reasonings that occurs is that ‘a Balustrade helps in estimating the age of the house- Houses with wrought iron balustrade means they were built before 1930s. As concrete was introduced in the 1930s, houses with concrete balustrades might have been built after the 1930s. With the introduction of concrete in 1930s, the variation was reflected in the aesthetic styles, geometric inclinations with cantilevered fins, curved corner windows replaced the skills of the past such as carvings and floral designs. They were commonly seen in public buildings of Madras such as banks, trade and commerce buildings, examples of which are the RBI Building, and the Parrys Building. 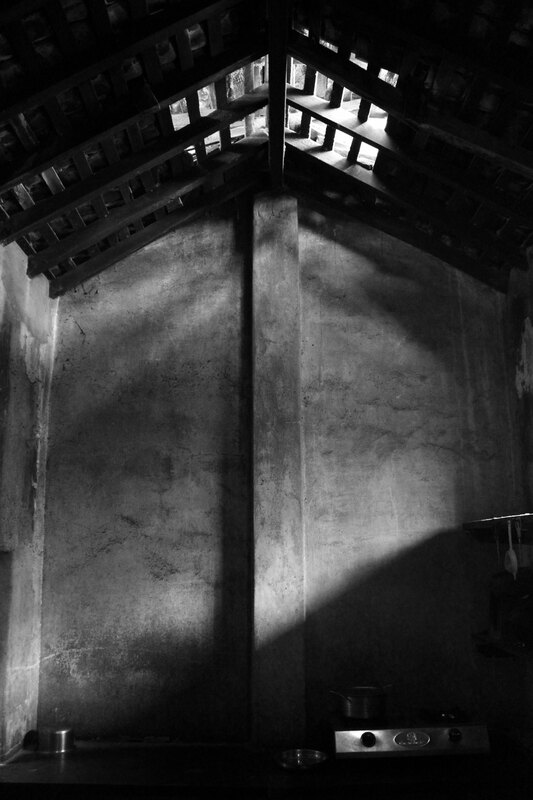 As they conduct walks through this multicultural repository, the network of volunteers have been witnessing the fast-developing imperilled nature of these houses and details. Over visits, they discover vacant plots or ‘modern’ constructs in the stead of three-four heritage houses every other month. The extensive cataloguing and documentation undertaken in the area has manifested physically into a Poster, and an Instagram gallery to engineer a presentation and support for this cumulative enterprise. It embodies not only a narrative of aspects of architectural significance but a way of life and the lived experience therein. “The spaces we create and live in serve as a background to our lives. As a result, they reflect the characteristics of different ways of life over time. We hope to gather the lived histories of the people and locate them in the context of an evolving Mylapore as tradition interacts with modernity, “say the authors of the project. 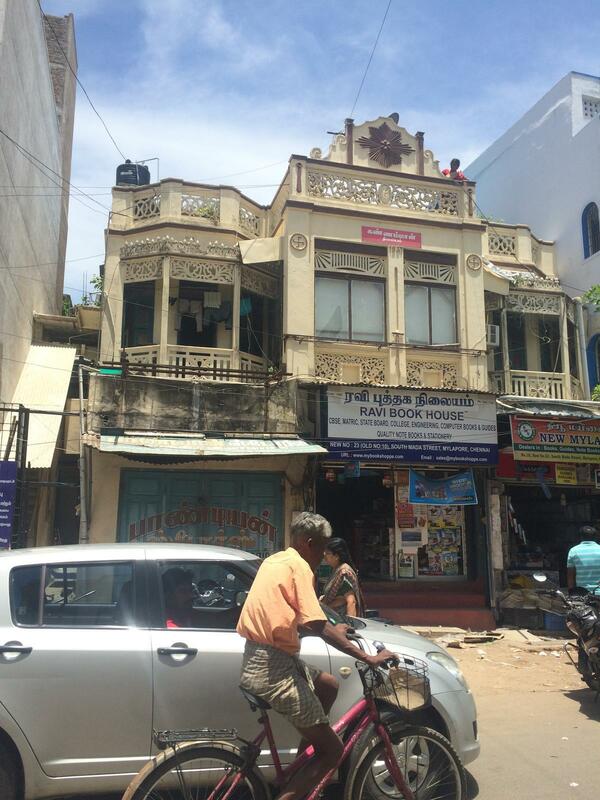 To know more about their ongoing work, follow Houses of Mylapore on Facebook and Instagram.